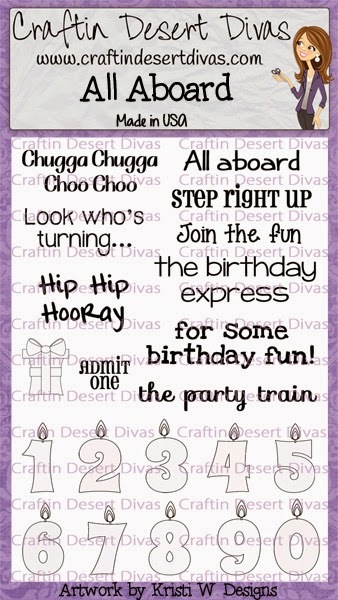 Craftin Desert Divas Blog: All Aboard!! Good morning everyone! 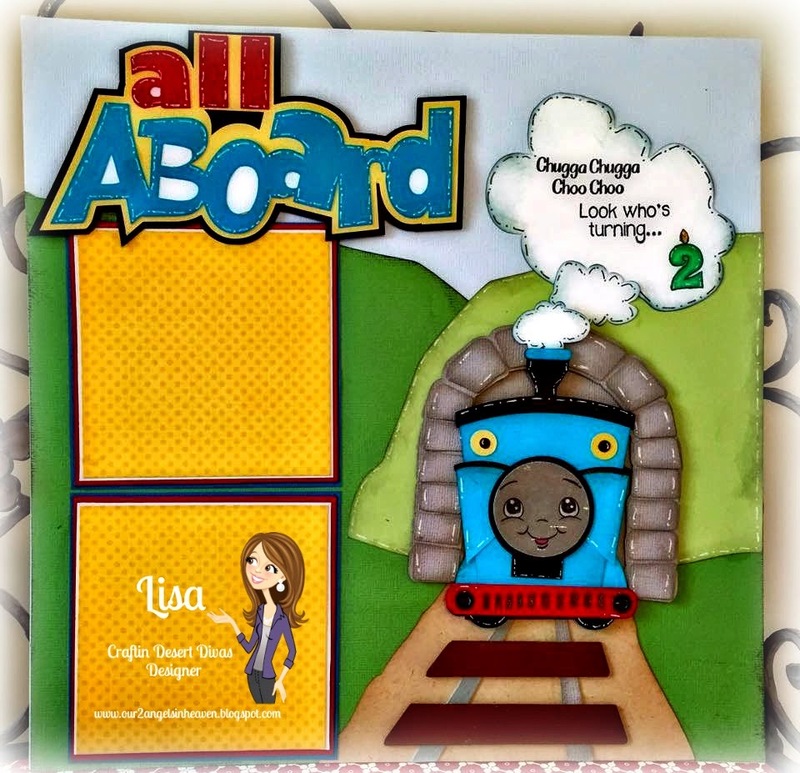 Lisa B. here popping in to share with you a layout I made using the ALL ABOARD stamp set from Craftin' Desert Divas. This stamp set has so many possibilities, especially for all those train lovers out there! I added some Glossy Accents to his face and used my Spectrum Noir markers to color in the #2 candle. adorable, where did you get the train? WOW! Fantastic layout! I love the fun scene~bright colors, fun papers and love the train!! Cute, cute!